Temple maximum of their veneration of the goddess Chie, welcomed the more pompous of their ceremonies, which gave rise to this myth. 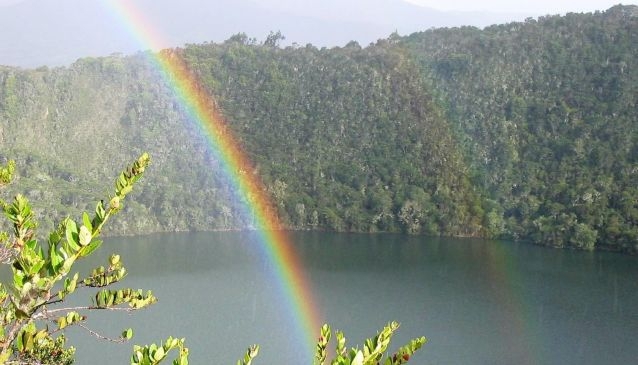 Guatavita Chibcha language means 'end of the tillage' or 'point of the mountain'. Guatavita is a municipality that retains its white colonial architecture; even the recent constructions are blending between the houses of Spanish tile to save severely its striking style. The municipality has a wide variety of natural landscapes framed in their moors that house innumerable water mirrors, native flora and fauna receives many national and foreign visitors, who arrive there attracted by these legends.